The theme for April is SELF HEALING on NO OUT THERE. 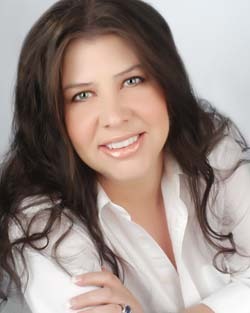 My Guest this Wednesday, April 8th is the energetic, magnetic, founder of the technique ThetaHealing™, Vianna Stibal. ThetaHealing™ is best described as a way to tap into clear answers. It also enables the participant to find limiting beliefs and change them instantly. No long goals, no reading affirmations, no voodoo who-do, just a simple realization and decision to change them and then witnessing the Creator instantly change them. The Four Level Belief Work was shown to her to help her clients. This is the same THETA which Asara Lovejoy accesses with The One Command and Commanding Wealth. As a Matter of Fact, it was my use of The One Command and having Asara on the show where she mentioned she had been trained by Vianna, that I began my quest to have Vianna on the show!!! I also then PURCHASED AND READ two of Vianna’s books, Go Up and Work with God and her then new book ThetaHealing. In both books she describes discovery and use of ThetaHealing and how she was healed. She also reveals to the reader how to access Theta and how to use it to clear dis-ease at the cellular level and more! So, if you are in need of a healing, JOIN US!